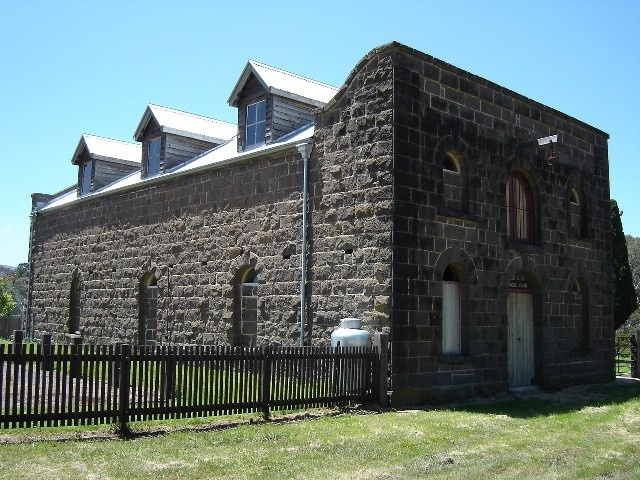 The two storey bluestone building on the north side of the western highway at Buangor was erected c.1860 as coach and livery stables. 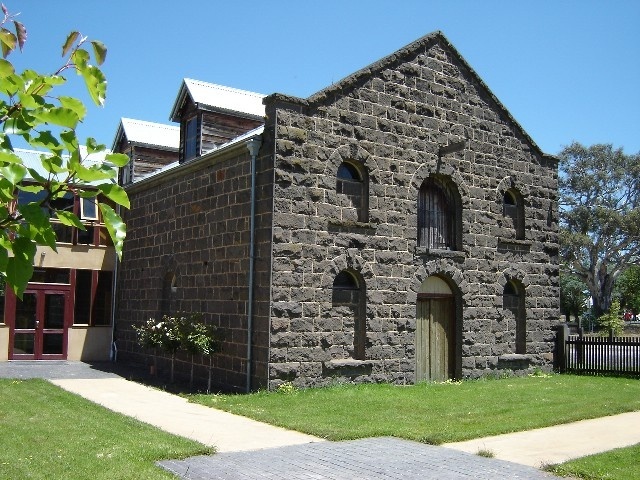 This large stable, with bluestone slab floor, timber stalls and upper loft, was for many years a Cobb and Co. changing station. The stables stood beside the Old Mac's Hotel, now demolished. 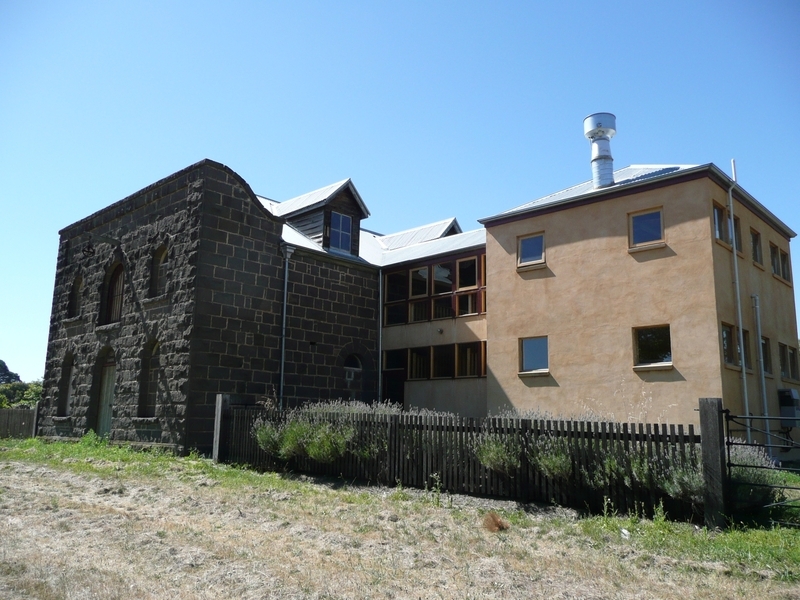 Symmetrically arranged, round arched openings at two levels distinguish both end facades. 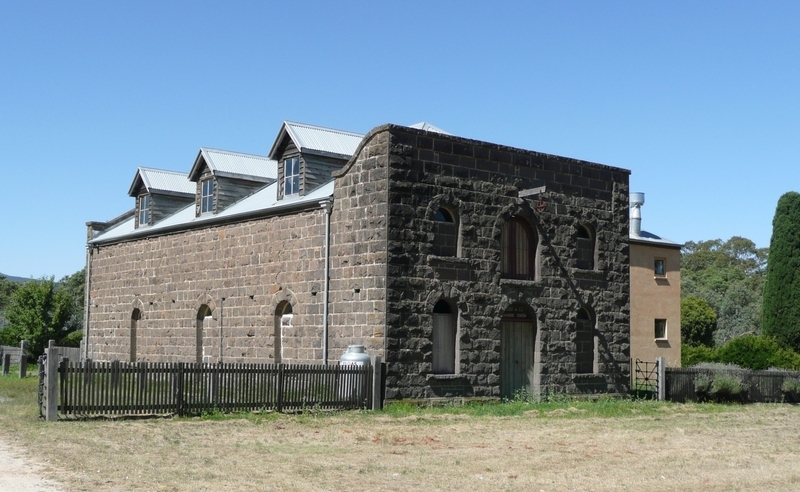 The former Buangor stables building is an impressive bluestone structure in the vernacular building traditions. 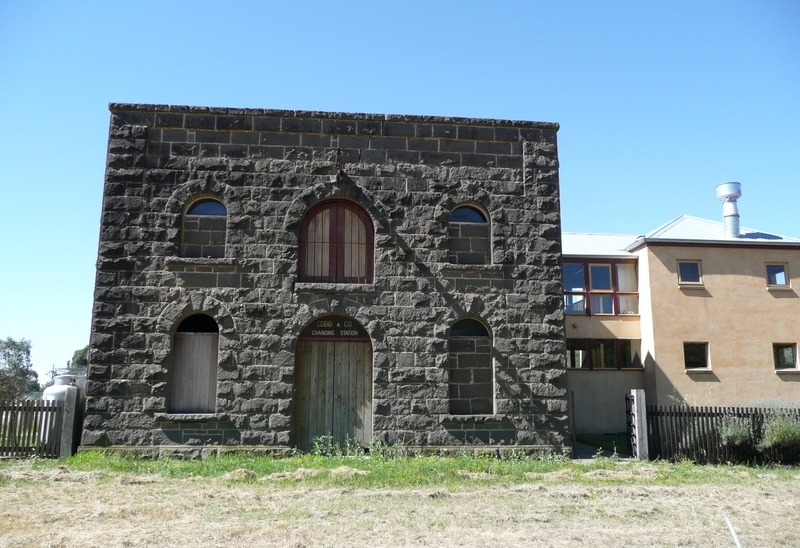 The near identical facades with round arched openings are of interest. 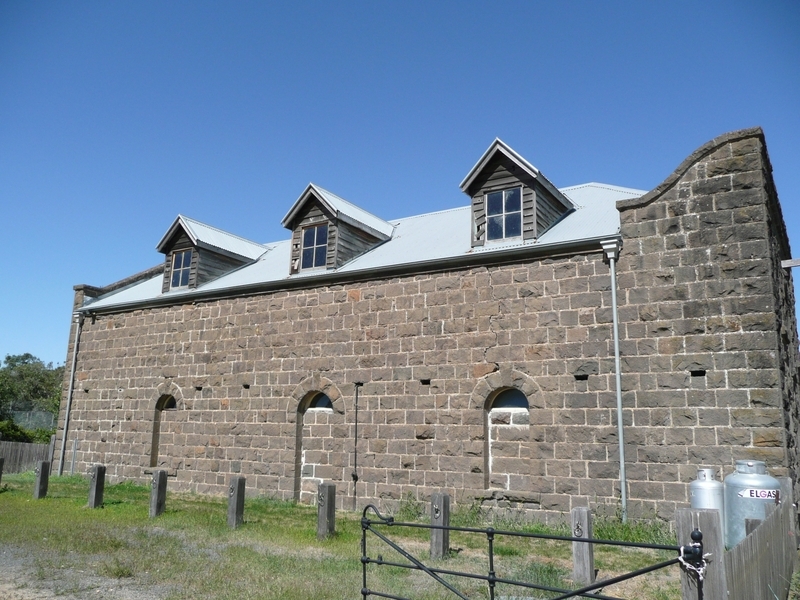 These stables were located at an important stopping place on the coach route to Ararat and have significant associations with Cobb and Co. 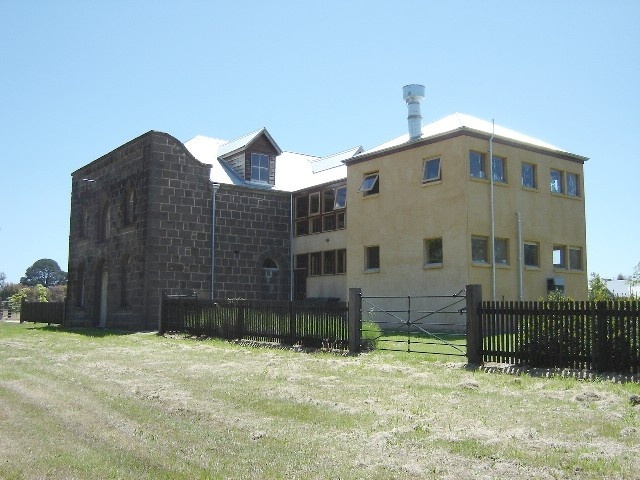 The association with Mac's Hotel, now re-established on the opposite side of the highway, is significant and an explanation as to the substantial scale and construction of the stables. 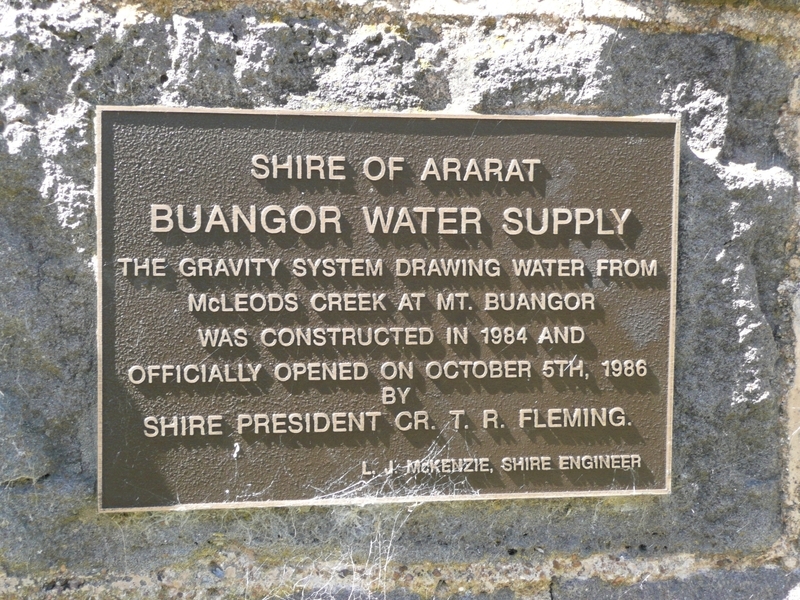 Shire of Ararat. No. 259. Former Store, Western Highway, Buangor.